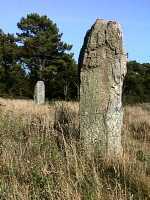 Single standing stones or menhirs are widely scattered over the district. 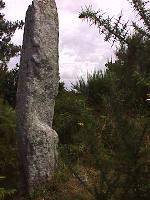 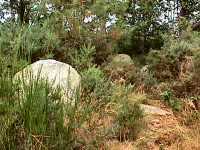 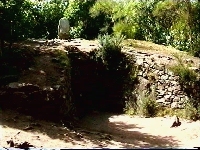 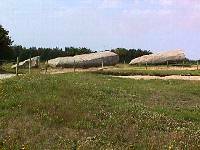 Many are associated with graves, for example the menhir on the summit of the Kercado tumulus. 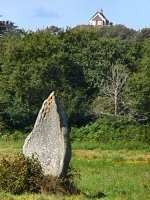 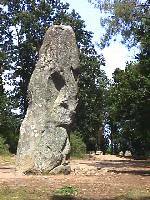 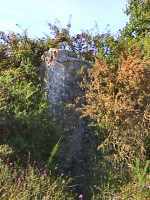 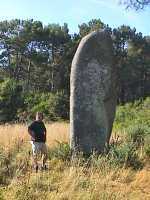 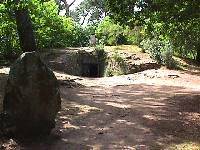 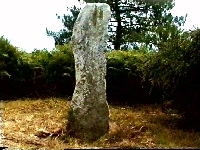 Others are thought to be parts of sightings for determining the extreme positions of the sun and moon, for example Le Géant and Le Grand Menhir Brisé. 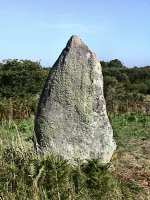 The following map shows the location of the major menhirs or single standing stones in the Carnac/Gulf of Morbihan area. 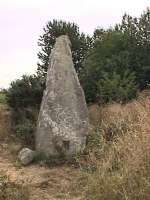 There are many more standing stones than shown here. 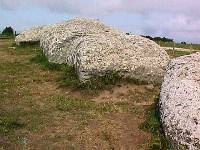 Also called Er Grah like the tumulus beside it. 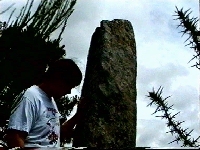 The photos show 3 sides of the same stone. 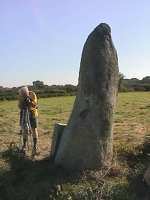 Trying to identify stones from pictures in books is very difficult because the same stone looks so different from different sides. 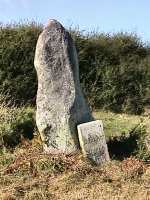 Luckily this one had a name plaque.